There are two printers on board, one on the Russian side of the ship and one on the US side. Now NASA has decided it is time for a change, as its astronauts have been printing using 20-year-old technology, described as “a museum piece” by Stephen Hunter, Manager of ISS Computer Resources. “When the printer was new, it was like 2000-era tech and we had 2000-era laptop computers. 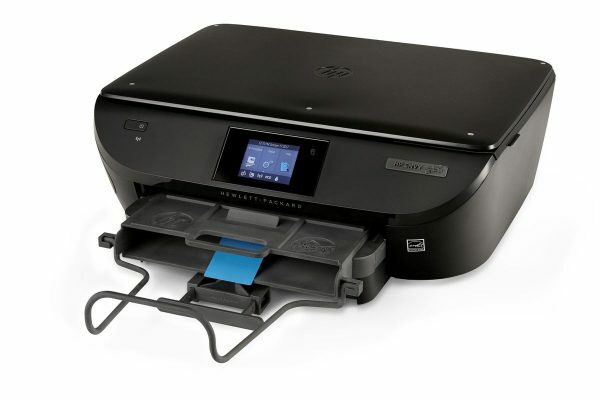 Everything worked pretty good,” explained astronaut Don Pettit, who “brought the first printer up to the ISS.” However, the printer has “been problematic for the last five or six years” he continued, so now it is being replaced with the HP ENVY Zero-Gravity Printer. HP and NASA collaborated closely on the design of this new device, with NASA requiring a printer that could meet a range of requirements, including printing and handling paper management in zero gravity, handling ink waste during printing and being flame retardant and power efficient. While working to eliminate “the kinks” from the new ISS printer, HP worked with a “small team” from NASA, among them Pettit and other astronauts. The device is based on the standard HP ENVY 5600 but features “significant modification”. In addition, they “removed the scanner cover, added numerous fasteners, replaced the shell with fire-retardant plastic and added a significant amount of absorbing material”, as well as incorporating “experimental 3D material”. When it was completed the new printer underwent zero gravity testing which lasted three days and included “a dozen or so flights”. “It went flawlessly. Everything works to our expectation,” said Hunter. The first two new printers are scheduled to be transported up to the ISS in February next year. “We want to use this through the remainder of the ISS program. Officially through 2024, with plans through 2028,” explained Hunter. ← Heads Up! Hewlett Packard Price Increase, buy now!